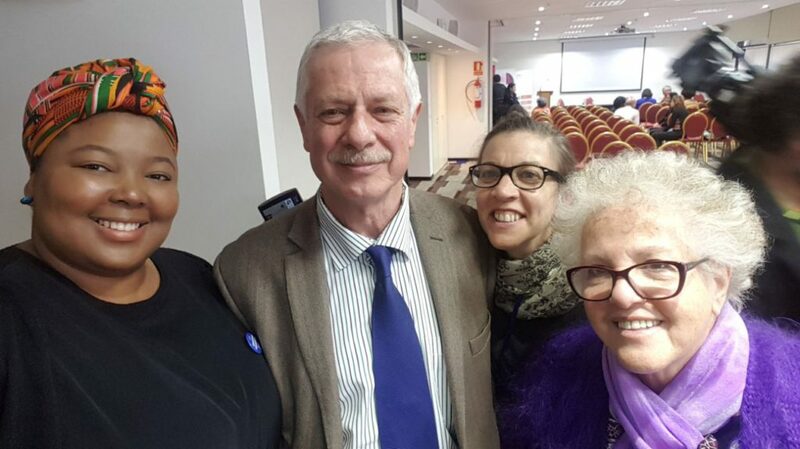 All roads led to Uruguay last week, between July 31st and August 4th, as 5 SRJC members took to Montevideo for the International Convention on Conscientious Objection. Malvern Chiweshe of CSSR (SRJC Research WG) on a panel discussion. dying as a result of healthcare workers objecting to performing abortion procedures and qualifying their premise with their right to exercise their belief systems. 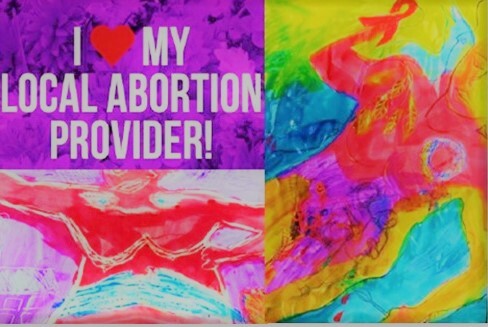 Not only does this have great implications on the rights of women and other folk in accessing reproductive healthcare services, but it also further perpetuates the already overwhelming stigma on abortion. “The International Convention on Conscientious Objection, or as interestingly we heard it rephrased as Dishonorable Disobedience, was looking at how the lack of implementation has been crafted by health providers not being held accountable to implement services. In many ways, conscientious objection [as a concept] comes from the military where people refused to serve in army or refuse to take up weapons as they ‘do not want to kill’. This was an interesting comparison to me, and that I would say, was my great learning. In the military, conscientious objection has a great cost to one as a person. One usually has to go through trial, one used to get a status attached to one’s identity in terms of one’s relationship to the state. Whereas in terms of conscientious objection/refusal to serve [in public healthcare] is a fairly arbitrary concept where one objects to one’s person and has huge effect on the public, and greater society”, said Marion Stevens, SRJC Chairperson who attended alongside 5 other SRJC members: Dr. Tlaleng Mofokeng (Vice Chair and Nalane Associates Founder), Dr. Malvern Chiweshe and Jabulile Mavuso (CSSR research team), and Professor Eddie Mhlanga (Global Doctors for Choice). In South Africa, the CTOPA is already being poorly implemented, no thanks to the stigma on abortion, but also US state funding that is dominant in South African SRHR initiatives. The poor recording and collation of health systems information and data to improve abortion access is of concern. These complications with the regulations of conscientious objection are only feeding into this greater system of violence against women, in particular attacking their bodily autonomy and integrity. Mr. Jorge Basso, Minister of Health Uruguay says that Human Rights are not negotiable. He presented as very committed to safe abortion access. Standing Alongside Dr. Tlaleng Mofokeng (Vice Chair), Marion Stevens (Chairperson) and Dr Christina Griela, Health Minister Advisor. Jabulile Mavuso from the Critical Studies on Sexualities and Reproduction felt that she was in a good space where people were engaging and debating about whether conscientious objection should be removed completely or be better regulated. 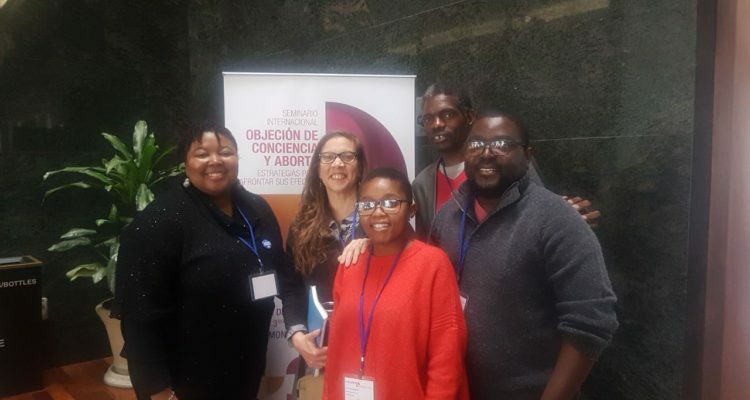 “There are Latin American countries that are currently engaging in processes in an attempt to regulate conscientious objection through various policies and mechanisms such as including it in job advertisements, stating upfront that abortion service provision is going to be one’s responsibility as a healthcare worker and anyone who refuses will not be considered for that position”. Jabu added that although there were these interesting approaches and mechanisms, she did not pick out one that was seemingly successful as there were also discussions around abusing people’s rights to conscientiously object. “It just did not seem like it was that easy to regulate it”, she added. 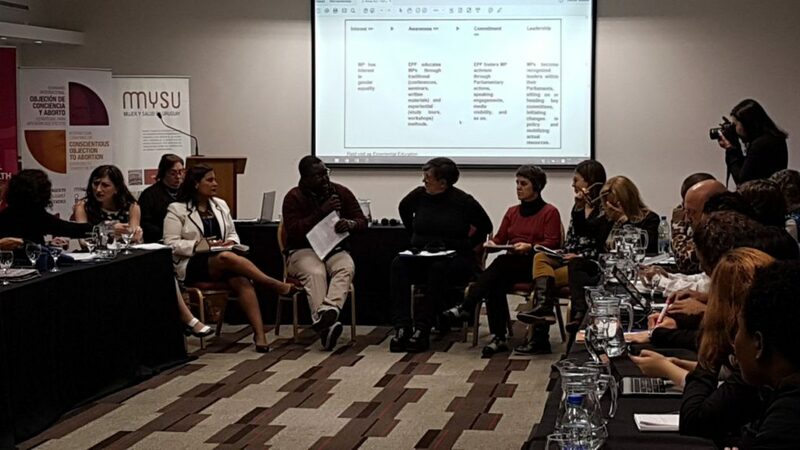 The group of fifty experts from 20 countries in Africa, the Americas and Europe group highlighted that conscientious objection in relation to health services is not supported by international human rights frameworks. The practice, sometimes allowed by national law, increasingly stigmatizes fundamental health service and pushes women to carry a risky or unintended pregnancy to term. Women denied access to abortion are also forced to seek illegal or unsafe means to abort with dire consequences, including death.